Author: Groundwater, Beth Set In . . . 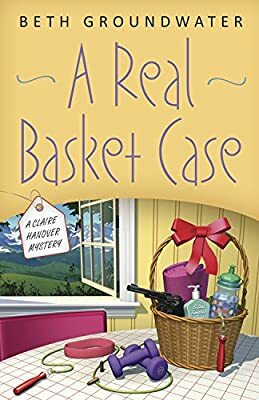 Feeling neglected by her workaholic husband, forty-something gift basket designer Claire Hanover joins an aerobics class at the urging of her best friend Ellen. Divorced and bitterly unhappy, Ellen and most of the other women in the class add a little vicarious excitement to their lives by flirting with the handsome instructor, Enrique. In a moment of weakness, Claire agrees to let the charming Enrique come to her house to give her a massage. She realizes she has made a deadly mistake when Enrique is shot and killed in her bedroom and her husband Roger is arrested for the murder. Determined to clear Roger's name and save her marriage, Claire sets out to find the real killer, encountering drug dealers, jealous ex-girlfriends, and angry cops along the way.